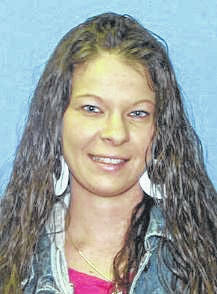 GALLIPOLIS — The body of a missing woman discovered in a joint investigation being conducted by the Gallia County Sheriff’s Office, the Gallipolis Police Department and the Ohio Attorney General’s Bureau of Criminal Investigation (B.C.I. ), who was located in a wooded area in Gallipolis Township on Sunday, has been identified. Sheriff Matt Champlin and Chief Jeff Boyer have released the identity of the person who was located in this investigation as Miranda Thompson, who had previously been reported as a missing person to the Gallipolis Police Department. At this time, the circumstances surrounding Thompson’s death are still under investigation and no further details are available at this time. Previous details released said that Thompson had been reported missing on Oct. 13 and that she had reportedly left Gallipolis with her boyfriend to go to Saint Mary’s Medical Center in Huntington, W.Va., where she was last seen.